TLJ Daily E-Mail Alert No. 2,395, June 13, 2012. Wednesday, June 13, 2012, Alert No. 2,395. 6/14. President Obama signed an executive order regarding "broadband deployment on Federal lands, buildings, and rights of way, federally assisted highways, and tribal and individual Indian trust lands". This order states that broadband access is "essential". This order creates a "Broadband Deployment on Federal Property Working Group". It requires this body to write a report. It requires seven enumerated federal agencies (Defense, Agriculture, Interior, Transportation, Commerce, Veterans Affairs, and Post Office) to each develop a plan to "develop and implement a strategy to facilitate the timely and efficient deployment of broadband facilities on Federal lands, buildings, and rights of way, federally assisted highways, and tribal lands". It also requires the Department of Transportation (DOT) to "review dig once requirements in its existing programs and implement a flexible set of best practices that can accommodate changes in broadband technology and minimize excavations consistent with competitive broadband deployment". A White House news office release explains that this order "will ensure that agencies charged with managing Federal properties and roads take specific steps to adopt a uniform approach for allowing broadband carriers to build networks on and through those assets and speed the delivery of connectivity to communities, businesses, and schools". See also, second White House news office release [14 pages in PDF]. This order only affects federal property. It does nothing to facilitate access to state and local rights of way, or buildings. Rep. Henry Waxman (D-CA) stated in a release that "Efficient use of federal lands and facilities along with prudent planning of new infrastructure projects will promote the expansion of broadband with significant cost savings to the American taxpayer. In particular, the Executive Order's 'dig once' provision draws from a recommendation in the National Broadband Plan and legislation introduced by Congresswoman Eshoo that I co-sponsored, and I am pleased to support it." Rep. Anna Eshoo (D-CA) stated in a release that "Much like my 'dig once' proposal, this Executive Order will help bring broadband to underserved communities nationwide and with limited federal investment." Rep. Eshoo (at left) introduced HR 1695 [LOC | WW], the "Broadband Conduit Deployment Act of 2011" on May 4, 2011. See, story titled "Rep. Eshoo Reintroduces Broadband Conduit Bill" in TLJ Daily e-Mail Alert No. 2,232, May 4, 2011. Her bill would affect only federal highway construction projects. Sen. Amy Klobuchar (D-MN) introduced a related bill in the Senate, S 1939 [LOC | WW], also titled the "Broadband Conduit Deployment Act of 2011", on December 1, 2011. Neither the House, the Senate, nor the committees of jurisdiction, have taken any action on either of these bills. Federal Communications Commission (FCC) Chairman Julius Genachowski stated in a speech on June 14 that "This is a big deal." The National Cable and Telecommunications Association (NCTA) praised this order in a release. The Telecommunications Industry Association (TIA) also praised this order in a release. 6/12. 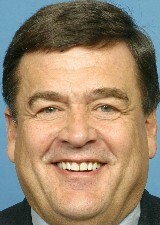 Rep. Mike Rogers (R_MI) and Rep. Dutch Ruppersberger (D-MD), the Chairman and ranking Democrat on the House Intelligence Committee (HIC) sent letters to the ZTE and Huawei regarding the HIC's investigation into "the threat posed to our critical infrastructure and the United States' counterintelligence posture by companies with ties" to the government of the People's Republic of China (PRC). The two Representatives just returned from a trip to Hong Kong where they met with representatives of the two companies. These letters numerous interrogatories. For example, they ask for descriptions of the companies' interactions with the PRC's Ministry of National Defense, Ministry of State Security, and other governmental agencies. They also ask if the companies would disobey orders from the government of the PRC to use their "equipment or access for purposes of economic or foreign espionage or other action against networks or other assets within the United States"? They also ask about use of the companies' networks to steal intellectual property. See, letter to ZTE USA CEO Lixin Chen, and similar letter to ZTE Chairman Weigui Hu. See also, letter to Huawei Technologies Co., LTD. SVP Charles Ding, and similar letter to Chairman Ren Zhengfei. Rep. Rogers and Rep. Ruppersburger also issued a joint release that states that the HIC has "stepped up the Committee’s investigation into the Chinese telecommunications companies Huawei and ZTE". Rep. Ruppersburger (at right) stated that "While I appreciate the need for international competition, it is my responsibility to look critically at foreign companies, especially those whose government continues to conduct cyber espionage against US enterprises". Rep. Rogers stated that "I remain concerned about the national security threat posed by the potential expansion of Huawei and ZTE into our telecommunications infrastructure". He added that "I appreciate the cooperation from Huawei and ZTE thus far" but "We must get to the bottom of these issues before the companies have further access to our market." 6/7. The Department of Transportation (DOT) released a report [PDF] titled "Blueprint for Ending Distracted Driving". It describes the activities of the DOT and other entities to study and reduce distracted driving. 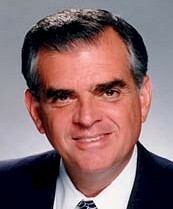 Ray LaHood, Secretary of Transportation, stated in a release that "Distracted driving is an epidemic. While we’ve made progress in the past three years by raising awareness about this risky behavior, the simple fact is people are continuing to be killed and injured -- and we can put an end to it". LaHood (at right) added that "Personal responsibility for putting down that cell phone is a good first step -- but we need everyone to do their part, whether it’s helping pass strong laws, educating our youngest and most vulnerable drivers, or starting their own campaign to end distracted driving." It adds that "As of June 2012, 39 States have enacted anti-texting laws, and 10 States have passed laws banning all hand-held phone use by drivers. One way to help address the problem is to encourage the remaining 11 States to pass anti-texting laws." The report also addresses the "NHTSA's enforcement pilot programs in Hartford, Connecticut, and Syracuse, New York. The report notes that in February the NHTSA proposed voluntary guidelines for vehicle manufacturers to discourage the introduction of excessively distracting devices that are integrated into vehicles. It adds that "NHTSA expects to finalize these Phase 1 Distraction Guidelines during 2012." Moreover, the report states, the NHTSA "is considering Phase 2 guidelines to address portable devices not built into the vehicle, including aftermarket GPS navigation systems, smart phones, electronic tablets and pads, and other mobile communications devices." And then, "Phase 3 guidelines may address voice-activated controls to further minimize distraction in factory-installed aftermarket and portable devices." 6/7. Rep. Austin Scott (R-GA) introduced HR 5925 [LOC | WW], the "Preserving Freedom from Unwarranted Surveillance Act of 2012", a bill regarding the use of drones in the United States by the federal government. This bill would regulate the use by the federal government of unmanned aerial vehicles within the United States. It would provide that subject to certain exceptions, "a person or entity acting under the authority of the United States shall not use a drone to gather evidence or other information pertaining to criminal conduct or conduct in violation of a regulation except to the extent authorized in a warrant issued under the procedures described in the Federal Rules of Criminal Procedure". The exceptions include the use of drones to patrol national borders, and use of drones under "exigent circumstances". Nothing in the bill prevents the warrantless use of drones to collect information for other purposes, such as national defense, surveillance under the Foreign Intelligence Surveillance Act (FISA), geographic survey, or weather or traffic monitoring. Nothing in the bill would prevent the use of drones in the US by non-governmental entities. Nothing in the bill would prevent the use of drones by states, or political subdivisions of states. Most law enforcement and criminal prosecution is conducted by state and local entities. The bill is inartfully drafted. It leaves unaddressed many key issues. For example, it is silent regarding whether a defendant in a criminal proceeding may obtain an order excluding evidence obtained from a drone, or as a result of use of a drone, in violation of the prohibition of this bill. The bill provides that "Any aggrieved party may in a civil action obtain all appropriate relief to prevent or remedy a violation of this Act." It does not define an "aggrieved party". Nor does it enumerate what relief is available. For example, is relief limited to damages? Can an aggrieved party obtain an injunction against continued violation? The bill does not state whether it would amend Title 18, and if so, which chapter. It was referred to the House Judiciary Committee (HJC). 6/12. The Senate confirmed Andrew Hurwitz to be a Judge of the U.S. Court of Appeals (9thCir). 6/11. The Department of Commerce (DOC) announced in a release that Commerce Secretary John Bryson is "taking a medical leave of absence", effective immediately. Deputy Secretary Rebecca Blank will be the acting Secretary of Commerce. 6/8. Rep. Judy Chu (D-CA), Rep. Lamar Smith (R-TX), and others introduced HRes 683, which expresses the regret of the House of Representatives for the passage of laws in the 19th Century that adversely affected the Chinese in the United States, including the Chinese Exclusion Act. 6/6. The Boards of The NASDAQ OMX Group and The NASDAQ Stock Market announced in a release that they "are seeking review by the Securities and Exchange Commission of a one-time voluntary accommodations program for qualifying members who were disadvantaged by technical problems that arose during the Facebook IPO cross on May 18. The technical problems experienced on that date have been remedied." 10:30 AM - 12:00 NOON. The Heritage Foundation (HF) will host a panel discussion titled "Export Control Reform: What's Next?". The speakers will be Patricia Cooper (Satellite Industry Association), Remy Nathan (Aerospace Industry Association), William Reinsch ( National Foreign Trade Council), Baker Spring (HF), and Derek Scissors (HF). See, notice. Free. Open to the public. Location: HF, 214 Massachusetts Ave., NE. 10:30 AM. The Federal Communications Commission (FCC) will hold an event titled "Open Meeting". See, agenda. Location: FCC, Commission Meeting Room, Room TW-C305, 445 12th St., SW.
12:00 NOON - 1:30 PM. The DC Bar Association will host a presentation titled "Impact of AIA on The Choice Between Patent and Trade Secret Protection". The speakers will be Griffith Price and Jia Lu (both of Finnegan Henderson). The price to attend ranges from $89 to $129. Reporters are barred from attending most DC Bar events. No CLE credits. See, notice. For more information, call 202-626-3488. Location: Finnegan, 901 New York Ave., NW. 12:30 - 2:00 PM. The DC Bar Association's Media Law Committee will host a closed brown bag lunch meeting to discuss media and communications law developments. Free. No CLE credits. Reporters are barred from covering this event. For more information, contact the DC Bar at 202-626-3463 or Kurt Wimmer (Covington & Burling) at kwimmer at cov dot com or Jim McLaughlin at mclaughlinj at washpost dot com. See, notice. Location: Covington & Burling, 1201 Pennsylvania Ave., NW. 8:45 AM - 2:30 PM. The U.S. China Economic and Security Review Commission will hold a hearing titled "The Evolving U.S.-China Trade & Investment Relationship". See, notice in the Federal Register, Vol. 77, No. 111, Friday, June 8, 2012, at Pages 34127-34128. Location: Room 2118, Rayburn Building. 10:00 AM. The Senate Judiciary Committee (SJC) will hold an executive business meeting. The agenda includes consideration Brian Davis (to be a Judge of the USDC/MDFl). See, notice. Location: Room 226, Dirksen Building. 10:00 AM. The House Intelligence Committee (HIC) will hold a closed hearing titled "Ongoing Intelligence Activities". Location: Room HVC-304, Capitol Visitor Center. POSTPONED. 12:00 NOON - 2:00 PM. The DC Bar Association will host a presentation titled "Social Media: Legal Considerations For Corporate Counsel". The speakers will be Brent Kidwell (Jenner & Block), Paul Meyer (Towers Watson), Blair Vietmeyer (E*TRADE Financial Corporation), Michael Lowman (Jenner & Block). The price to attend ranges from free to $15. Reporters are barred from attending most DC Bar events. No CLE credits. See, notice. For more information, call 202-626-3488. Location: Jenner & Block, 1099 New York Ave., NW. 6:00 - 8:15 PM. The Federal Communications Bar Association (FCBA) will host an event titled "US and EU Privacy Regulation: An Overview". CLE credits. See, notice. Location: Mayer Brown, 1999 K St., NW. Deadline to submit reply comments to the Federal Communications Commission (FCC) in response to its Notice of Proposed Rulemaking (NPRM) [85 pages in PDF] regarding the 800 MHz cellular service. The FCC proposes, among other things, to issue geographic area overlay licenses through competitive bidding in two stages. The FCC adopted and released this NPRM on February 15, 2012. It is FCC 12-20 in WT Docket No. 12-40. See, notice in the Federal Register, Vol. 77, No. 52, Friday, March 16, 2012, at Pages 15665-15681. The House will meet at 10:00 AM in pro forma session. 8:30 - 11:30 AM. The Technology Policy Institute (TPI) will host an event titled "The Future of Internet Economics". See, registration page. Location: 7th floor, Newseum, 555 Pennsylvania Ave., NW. 8:30 AM - 4:00 PM. The Federal Communications Commission's (FCC) Consumer Advisory Committee will meet. The FCC will webcast this event. See, notice in the Federal Register, Vol. 77, No. 103, Tuesday, May 29, 2012, Pages 31611-31612. Location: FCC, Commission Meeting Room, 445 12th St., SW.
5:00 PM. Deadline to register to attend the Department of Homeland Security's (DHS) Privacy Office's June 20 event titled "Privacy Compliance Workshop". See, notice in the Federal Register (FR), Vol. 77, No. 102, Friday, May 25, 2012, at Page 31371. Deadline to submit to the Federal Communications Commission (FCC) oppositions to the petitions for reconsideration of the FCC's latest Low Power Radio Service order. The FCC adopted and released this Fourth Report and Order and Third Order on Reconsideration on March 19, 2012. It is FCC 12-29 in MB Docket No. 99-25. See, notice in the Federal Register, Vol. 77, No. 105, Thursday, May 31, 2012, at Page 32075. See also, petition of the Educational Media Foundation, petition of Hope Christian Church of Marlton and others, petition of Corner Media, and petition of Kyle Magrill. And see, story titled "FCC Releases Two Items Regarding Local Community Radio Act" in TLJ Daily E-Mail Alert No. 2,351, March 20, 2012. 9:00 AM - 12:30 PM. The American Enterprise Institute (AEI) will host a conference titled "Buying and Selling at the Speed of Light: Taking Stock of High Frequency Trading". The speakers will include Rep. Jeb Hensarling (R-TX). See, notice. Location: AEI, 12th floor, 1150 17th St., NW. Deadline to submit comments to the National Telecommunications and Information Administration (NTIA) regarding the data reporting requirements associated with the NTIA's program to develop and maintain a inventory map of broadband service capability and availability in the US. See, notice in the Federal Register, Vol. 77, No. 74, Tuesday, April 17, 2012, at Pages 22762-22763. Deadline to submit comments to the Federal Communications Commission (FCC) regarding the information collection requirements of its Notice of Proposed Rulemaking and Notice of Inquiry (NPRM and NOI) [84 pages in PDF] regarding use of MSS Spectrum for Terrestrial Broadband. The FCC adopted and released this item on March 21, 2012. It is FCC 12-32 in WT Docket No. 12-70, ET Docket No. 10-142, and WT Docket No. 04-356. See, notice in the Federal Register, Vol. 77, No. 74, Tuesday, April 17, 2012, at Pages 22720-22748. See also, story titled "FCC Adopts NPRM Regarding Use of MSS Spectrum for Terrestrial Broadband" in TLJ Daily E-Mail Alert No. 2,353, March 22, 2012. 8:30 AM - 5:00 PM. Day one of a two day meeting of the National Institute of Standards and Technology's (NIST) Visiting Committee on Advanced Technology (VCAT). See, notice in the Federal Register, Vol. 77, No. 106, Friday, June 1, 2012, at Pages 32570-32571. Location: NIST, Portrait Room, Administration Building, 100 Bureau Drive, Gaithersburg, MD. 10:00 AM. The House Judiciary Committee's (HJC) Subcommittee on Intellectual Property, Competition and the Internet will hold a hearing titled "New Technologies and Innovations in the Mobile and Online space, and the Implications for Public Policy". See, notice. Location: Room 2141, Rayburn Building. 12:00 NOON - 2:00 PM. The DC Bar Association will host a presentation titled "Prometheus Bound -- Analyzing the Current Restraints on Patent Eligible Subject Matter". The speakers will be Jonas Anderson (American University law school), Erika Arner (Finnegan Henderson), Michael Kiklis (Oblon Spivak), and Jeffrey Fougere (Sterne Kessler). The price to attend ranges from $25 to $35. Reporters are barred from attending most DC Bar events. No CLE credits. See, notice. For more information, call 202-626-3463. Location: Paul Weiss, Suite 100, 2001 K St., NW. 5:00 PM. Deadline to register to attend the Department of Commerce's (DOC) National Institute of Standards and Technology (NIST) event titled "National Cybersecurity Center of Excellence Workshop". See, notice in the Federal Register, Vol. 77, No. 87, Friday, May 4, 2012, at Page 26511-26512. 6:00 - 8:15 PM. The Federal Communications Bar Association (FCBA) will host an event titled "Issues in USF Contribution Reform". CLE credits. See, notice. Location: Wiley Rein, 1776 K St., NW. 8:30 AM - 4:30 PM. The Department of Homeland Security's (DHS) Privacy Office will host an event titled "Privacy Compliance Workshop". The deadline to register is 5:00 PM on Friday, June 15. Location: Federal Trade Commission (FTC) satellite building, 601 New Jersey, Ave., NW. 9:00 - 10:30 AM. The American Enterprise Institute (AEI) will host a panel discussion titled "Regulatory Threats to Mobile Health Information Technologies". See, notice. Location: AEI, 1150 15th St., NW. 9:00 - 11:00 AM. The Internal Revenue Service's (IRS) Electronic Tax Administration Advisory Committee (ETAAC) will meet. The deadline to register is Friday, June 15. See, notice in the Federal Register, Vol. 77, No. 102, Friday, May 25, 2012, at Pages 31441-31442. Location: IRS, Room 2140, 1111 Constitution Ave., NW. 9:00 AM - 12:00 NOON. Day two of a two day meeting of the National Institute of Standards and Technology's (NIST) Visiting Committee on Advanced Technology (VCAT). See, notice in the Federal Register, Vol. 77, No. 106, Friday, June 1, 2012, at Pages 32570-32571. Location: NIST, Portrait Room, Administration Building, 100 Bureau Drive, Gaithersburg, MD. 9:30 AM. The House Ways and Means Committee (HWMC) will hold a hearing titled "Russia’s Accession to the World Trade Organization and Granting Russia Permanent Normal Trade Relations". The hearing notice states that the topics to be covered include enforcement of intellectual property rights. Location: Room 1100, Longworth Building. 10:00 AM. The Senate Judiciary Committee (SJC) will hold a hearing titled "Oversight of the United States Patent and Trademark Office: Implementation of the Leahy-Smith America Invents Act and International Harmonization Efforts". David Kappos, head of the USPTO will testify. The SJC will webcast this hearing. See, notice. Location: Room 226, Dirksen Building. 12:30 PM. The House Judiciary Committee's (HJC) Subcommittee on Immigration Policy and Enforcement will hold a hearing on HR 2899 [LOC | WW], the "Chinese Media Reciprocity Act of 2011". This bill pertains to visas for employees of the Xinhua News Agency and other PRC state controlled media. See, notice. See also, "More PRC and Taiwan Trade News" in TLJ Daily E-Mail Alert No. 2,305, September 28, 2011. Location: Room 2141, Rayburn Building. 10:00 AM. The House Intelligence Committee (HIC) will hold a closed hearing titled "Ongoing Intelligence Activities". See, notice. Location: Room HVC-304, Capitol Visitor Center. 1:30 PM. The Senate Judiciary Committee's (SJC) Subcommittee on Antitrust, Competition Policy and Consumer Rights will hold a hearing titled "The Universal Music Group/EMI Merger and the Future of Online Music". The SJC will webcast this hearing. See, notice. Location: Room 226, Dirksen Building.